Literally 'the one that redeems from worldly bonds,' Damodar Kunda is located at the altitude of 22,000 feet atop Mukti Kshetra amidst enchanting, sky-high Mountains in the remote Himalayan district of Mustang in western Nepal. 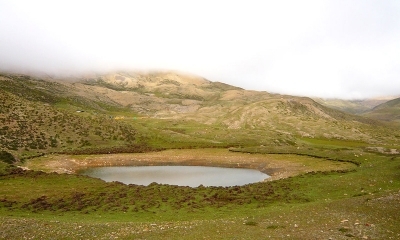 In the vicinity of lake lie two other Kundas-Sweta Kunnda and Rakta Kunda. 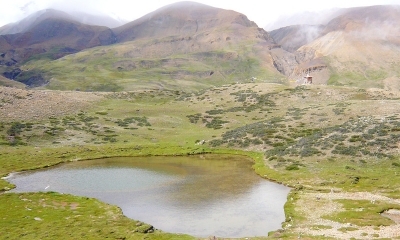 Muktinath Yatra initiates Damodar Kunda and Muktinath Darshan after your arrival in Kathmandu. There we can have sightseeing around UNESCOs World Heritage Sites and some Historical places. Then we drive towards Pokhara and Sightseeing over there. Early morning, after having instant breakfast, we fly towards Jomsom.